Compassionate Healthcare is a locally owned and operated business. It was started by mother and son, Cynthia and Justin Harris after one of their family members became sick and needed additional care at home. We are a non-medical home healthcare company, so our caregivers focus their time on assistance for items such as mobility, laundry, meal preparation, light housekeeping, shopping, errands, bathing, dressing, and toileting. Our goal has never been to be the biggest agency, but simply the best. This starts by hiring caregivers that have a passion for seniors and the compassion to help. Whether it is playing games, running errands, or fixing a meal; you will quickly notice the Compassionate Healthcare difference. Don’t worry if you are not sure of all of things you might need a little help with, because we personally meets with every client for a free in home consultation. 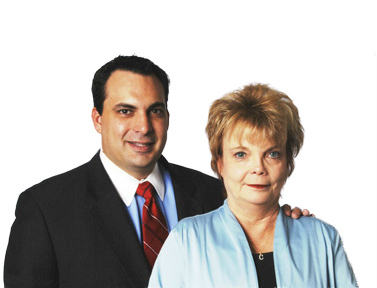 Compassionate Healthcare was founded by mother and son team, Justin and Cindi Harris. We are licensed by the state of Texas, follow vigorous compliance guidelines, and have been in business since 2005. All caregivers are employees of Compassionate Healthcare. We do not use contract labor like many agencies. Compassionate Healthcare has been routinely recognized as a premier agency in DFW. Compassionate Healthcare’s mission is to be the premier home care service provider in the DFW area. We recognize the value of every person uniquely and are guided by our commitment to excellence and compassion while serving our clients. We strive to build a work environment where each person is valued, respected and has an opportunity for growth. 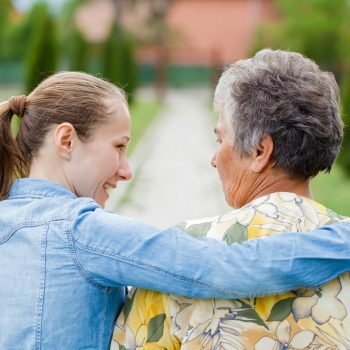 Our commitment to our clients, their families, and the communities we serve permits us to maintain a quality of presence and tradition of caring. Compassionate Healthcare began because of a need we experienced in our own family. Justin’s grandmother was recovering from a stroke and needed a little help with her daily activities. After trying several agencies and private caregivers, we knew there had to be a better way. After careful consideration, Justin and his mother Cindi decided to open Compassionate Healthcare in 2005. The first year we learned so much about the requirements (onerous, but necessary) of being a licensed home healthcare company. Cindi worked day and night the first few years and with a very small advertising budget, Compassionate Healthcare was going to grow only with personal referrals from a job well done. That was okay with us because we never had the goal of being the biggest agency in town; we just wanted to be the best and make sure that each and every client we served experienced the Compassionate Healthcare difference. Today, Compassionate Healthcare is one of the premier non-medical home care agencies. 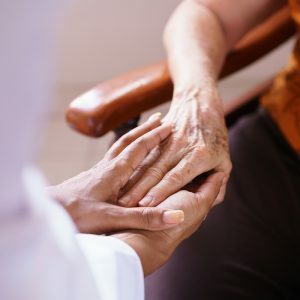 The Compassionate Healthcare difference has made a difference in the lives of thousands of seniors in our community, the fantastic employees that work for Compassionate Healthcare, and the communities in which we serve. We are still not the biggest (and have no plans to be) but are still very focused on being the best. Even today, with a slightly larger advertising budget, more than 70% of our clients come from personal referrals. Our outstanding office staff works hand in hand with our caregivers and field staff to ensure each client still experiences the Compassionate Healthcare difference.